Response from Charles Tyrwhitt: I am sorry to hear you have been disappointed with your recent order. We do advise on our confirmation emails to allow for extra days in case of any unforeseen delays, but I can certainly appreciate that it would be frustrating to not receive your order when expected. I can see from your account that your postage costs have been refunded as extra apologies, and I hope that despite the delays your gifts were still appreciated and have become excellent new wardrobe additions. My son loves your shirts. I always buy him a few for his birthday. Response from Charles Tyrwhitt: Sorry to hear that one of your shirts does not fit as well as your others. As it is the same size, this certainly should not be the case. 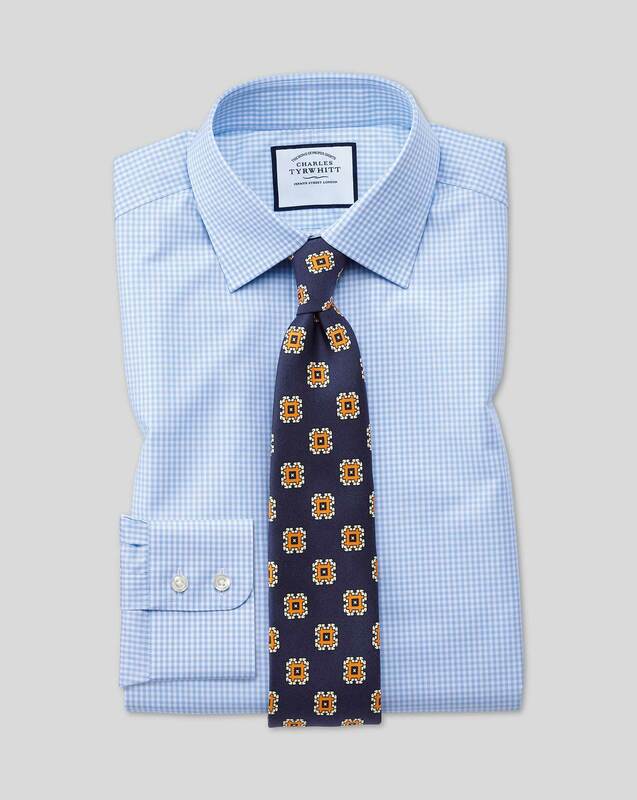 You are of course more than welcome to return or exchange this shirt with our no quibble six month guarantee to ensure you have the perfect shirt. You can always contact our 24/7 Customer Service and we will be happy to assist you.